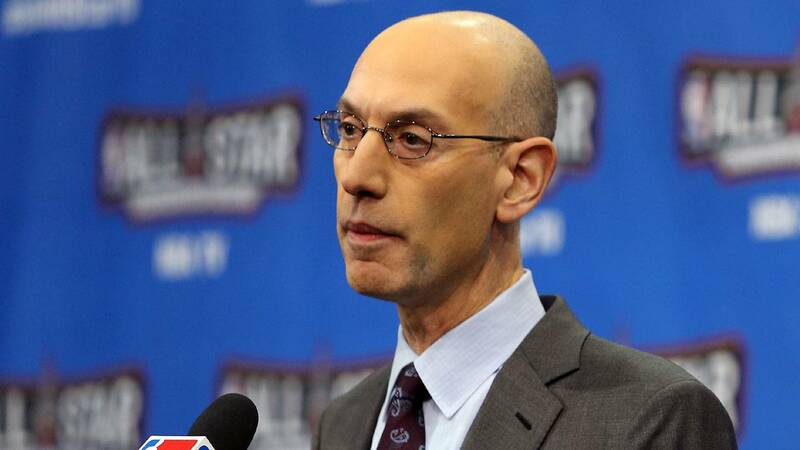 NEW YORK (CNNMoney) - NBA Commissioner Adam Silver "has no issue at all with" paying college players, but he says introducing anything more than a stipend would be very challenging. Despite numerous calls to do so, the NCAA has remained firm on not paying players. Meanwhile it continues to thrive financially. In 2017, for the first time, the NCAA made more than $1 billion in revenue. Silver has no official capacity with the NCAA. But he's got plenty of thoughts about the college athletics organization that produces the majority of players in his NBA. "If you try to compare it to a pro model, do players on this team all make the same amount? Or is there a scale?" he said during an exclusive interview with CNN. "You have Title IX issues, so do the women — where the television contract may not be as lucrative — do they make as much?" If contracts are based on performance, coaches might cut more players who under-perform, or raise the bar for what constitutes under-performance for a student athlete, he said. What about Olympic hopefuls intent on keeping amateur status? Would scholarships, which are already "very much the equivalent of being paid," be affected? "We all know the price of an education right now at these schools for the students who aren't playing or aren't scholarship athletes. $50,000-$60,000 in certain cases, plus living costs, so that scholarship in itself is a form of a payment." While Silver's got a lot of questions about the NCAA, one thing he's sure about is that he wants to change the way the NBA interacts with young players, and to make sure youth "basketball is taught the right way". Currently the minimum age to play in the NBA is 19, but the NBA's developmental league, recently re-branded as the G League because of a partnership with Gatorade, includes players as young as 18 years old. Since Silver took over as commissioner in 2014, the NBA's minor league basketball system, which started in 2001 with 8 teams, has been steadily ramping up and expanding its presence. Starting with the 2018-2019 season, it will field 27 teams. More players are spending time in the G League before reaching the NBA, and some are skipping college and the NCAA altogether. The NCAA, which historically has had almost no competition for its dominant position in college athletics, is in a precarious spot lately. It's battling a thorny player-pay issue and a major scandal over bribery and corruption that has caught the attention of the FBI and the House Energy and Commerce Committee. Silver may not have a solution to the question of paying players, but it's possible that problem could fix itself, he said. If there's enough demand and pressure to pay players, then a league that does so could arise — whether it's the NCAA or something else.